Sorry, nothing durable. And computer mouse is no exception. Most often she breaks the scroll wheel. But Hey throw away the mouse. It can be repaired, thus saving some money. If your mouse broken part of the axis of the wheel, the symptoms of such a failure is the following - you spin the wheel, but on the computer screen is not displayed. To resolve this breakage Unscrew all the screws on the housing of the mouse. Open the mouse. Remove the wheel and a broken pin. Next, take an iron paper clip. Straighten it. Then fold in half and twist the ends along the entire length. Measure on the resulting structure, the length of the broken part of the axis, adding a few millimeters in order to be able to engineer a paperclip into the wheel. Excess obconica clippers. Clamp the point of bending the staples with pliers and hold it by the ends to the fire. Wait until the paper clip should be red hot. Now quickly vplate clip to the mouse wheel in the place where was the axis. After your design is cured, slide the wheel into place. Roll the wheel to verify if scrolls the clip mechanism inside the mouse. If not scrolls, paste in the place where the mechanism touches the paper clip another small piece of wire with a length of about five millimeters. Now the mechanism should work. Assemble the housing, Zaventem it with screws. Mouse repaired. Another common failure - the wheel scrolls the page to the screen, but not smoothly, as expected, but jumps up and down. In this case, it is likely that your mouse came loose in the scrolling mechanism. To fix, Unscrew and open the housing of the mouse. You will see a wheel, inserted into a special mechanism that is responsible for scrolling pages on the screen. Gently with pliers pre-load housing of this mechanism. But look do not overdo it. If too much preload, the wheel can appear to stop spinning or just breaks the scrolling mechanism. Once you have drawn the body of the machine, rotate the wheel. If everything is working properly, collect the mouse body. When rupture of the wire of a computer mouse, it is, therefore, ceases to work. This happens usually very rare: usually the mouse with this problem do not mark the first anniversary. Box cutter, screw driver "+", electric soldering iron, solder, rosin. Comparing the statistics of breakdowns of a computer mouse, you can make an interesting conclusion – most of the faults of this device lies in the bend of the wire at the entrance to the mouse. So, if you happened to such trouble as breakage of the mouse, and in the computer lounge was convinced that she had a reliable manufacturer, you can be sure that, most likely, there was a broken wire. Take in hand a mouse and turn it over. Unscrew all the connecting screws. Remove the upper part of the body. Note the location of the wires by color. It is best to photograph or to sketch on paper. Turn on the soldering iron to be heated. It should be noted that to perform the soldering you should use a soldering iron with power up to 40W, 25W desirable. Before using the soldering iron, it is necessary to clean soldering iron tip and dunk in resin. The heated soldering iron, carefully unsolder wiring. Set the soldering iron aside. A sharp hobby knife cut the damaged part of the wire of the mouse. Cut is no more than 3 inches. Clean all the contacts and dip it in rosin. Solder the wires to the contacts of the mouse. Then assemble the case. If you have a mouse from Microsoft and the connecting screws on the back of the mouse was not, then this mouse do not have to disassemble. This kind of computer mouse comes with the glued case, their issue is the idea of Microsoft. By common agreement, they change the mouse, if you email them on their email address, with serial number of the mouse. This trick is used in many computer shops. Therefore, it may happen that your new mouse has already received. Even the best quality mice tend to become clogged. There are many such small slits, where the needle can barely get through, but dust and hair were placed there with comfort. And sometimes even on this little device so inappropriately spilled coffee. What to do when the mouse is blocked, while the button and wheel do not give the appropriate reaction? Out one, or rather two: you can just throw the mouse, and if it was not in your plans, you will have to disassemble the mouse. Prepare the mouse to disassembly. To do this, disconnect it from the computer and put it on the table, turning upside down. Look on the bottom of the mouse mounting screw. Cogs are sometimes not immediately visible, as they are often hidden under stickers. In this case, first remove the base of the mouse all the stickers. Carefully Unscrew the mounting screws. The screw heads on the arms usually cross shape, so the screwdriver required is the same. The screws are located in recesses, removing them will be easier with a magnetic screwdriver. Important after loosening the screws to put into a container, otherwise they will be lost. Open the case. To do this hold the mouse with two hands over the upper and lower surfaces and pull. Calculate the effort not to disengage the cover latch around the cord. It is best to pull the cover up and slightly to the left. It is now possible to purge and clean the inside of the mouse of accumulated debris and dust. 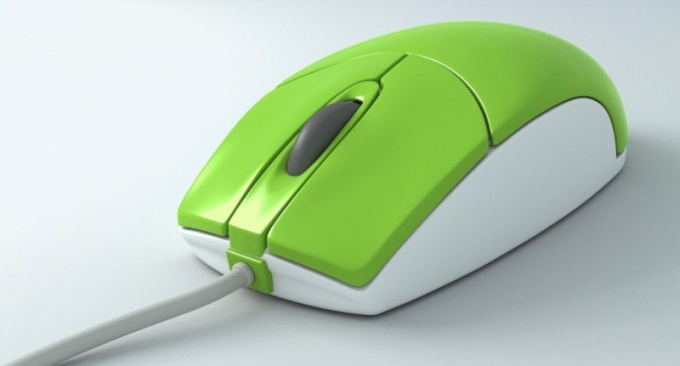 Remove the base of the mouse wheel (scroller). There are different designs of mounts scrollers. Often fairly beat up and the wheel will be removed together with its fastening or latch. Axle wrap-scroller is often a lot of hair. Remove this hair with a suitable tool. Remove the card or mikroshemka mouse. The Board is attached by clamps, or bolted with screws. Latch gently pry off with your fingers. And Unscrew the screws and put the rest of the details. Easy pulling tab up, separate it from the body of the mouse. All, analysis of mouse over. The build of the mouse is carried out in reverse order. On put Board, scroller and cover. In the presence of the latches, make sure they they all fell into place with a click. If you experience any problems with the operation of the manipulator of type "mouse" called in the home – the mouse, take the time to let him go. To repair an ordinary wired mouse is quite simple even for a professional technician. The most important thing here is to disassemble and reassemble this device and not detect after Assembly, the "extra" parts. Prepare the necessary tools. You will need a paper napkin, knife, small Phillips screwdriver and duct tape. In most cases, the cause of failure of operation of the manipulator is broken wires inside the cable that connects the computer with a mouse. 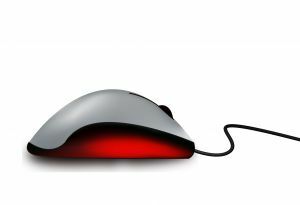 But the reason may be the contamination of the wheel or a blockage of the mouse buttons, which often happens with the old "ball" mice. Unplug the mouse from the power supply and wipe clean before beginning disassembly. Remove the screwdriver bolts from the bottom of the mouse and carefully remove the lid (in order to remove it, slide it slightly back and up). Push is not necessary – the manipulation should be carried out with ease, otherwise you may damage the grooves, and the arm will not assemble properly. Eliminate the malfunction. If it is detected in the cable, fix it and insulate the wire with electrical tape. Insert the wire into the pin and ensure that it does not interfere with moving parts of the manipulator (buttons and wheel). Make sure that the wire does not get in the grooves and on the edge of the case, otherwise this may cause malfunction or slow work. Insert the beveled top of the cap manipulator back into the slots and connect it with the bottom hand pressure. Retighten the bolts. Before spinning, turn the bolts a couple of times counter clockwise that will help just to get into the thread. Connect the computer turned off for the manipulator, start the computer and then test the mouse. However, if the mouse is powered by USB off the computer's power is not required. If the positioner is properly earned, then everything went well and you coped with the problem. Thus, it is possible to periodically disassemble the trackball to clean it from dust and to prevent breakdowns. 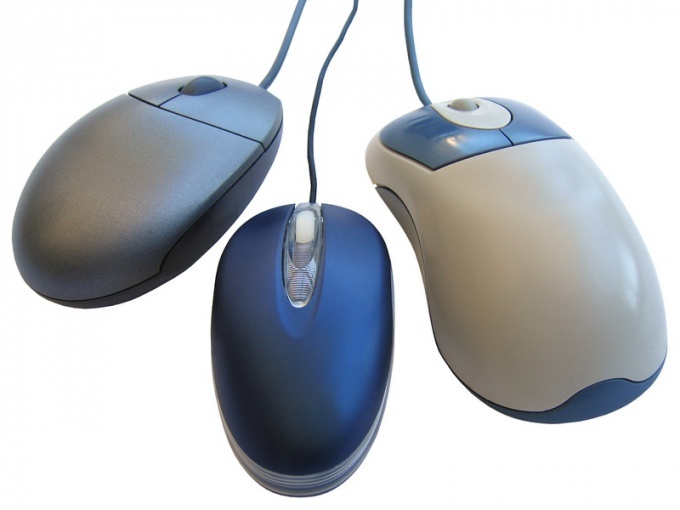 Wireless devices are becoming increasingly popular among users, specifically the wireless mouse. Most often you can see them owners of laptops, although in some cases users have desktop computers. Most buyers of wireless mice after unpacking wonder where the batteries go? First of all unpack the contents of the box and pull out the mouse. Note: is there a complete brochure or instructions. So, take the mouse in hand and look carefully. Usually the manufacturer making the battery compartment at the bottom of the mouse, but in rare cases it is located just in the middle. If the compartment is on the bottom, then pry it with something sharp or if there is a "tab", click on it. Insert the batteries and close the lid. To access the compartment, press on the top part of the mouse body, and then slowly pull. Don't worry: the mouse is not broken, but removed only moving part. Insert the batteries and close the cover, the main thing - do not smash the cloves, which are inserted into the slots on the housing. The basic arrangement of the compartments for the batteries in the mouse considered. If your wireless mouse has no compartment in these two places, then read the instructions supplied. Also the user manual can always be downloaded on the official website of the manufacturer. In the process of using wireless mouse is sometimes necessary to completely disassemble its case – for example, to dirt or to resolve the problem. Start with the screws. Look carefully at the bottom of the mouse: remove the sticker and legs, because hidden underneath the largest number of screws. Unscrew them and carefully remove the upper part of the body. On some "fancy" mice upper and lower part of the body is connected with a special cable and severing it, will have to bear it in repair. Unscrew all the innards does not make sense, since all the dust would good visible. The screws can be pre-numbered to avoid confusion when assembling the mouse. Back legs can be glued with double sided sticky tape or pre-cleaned and glued with silicone adhesive. 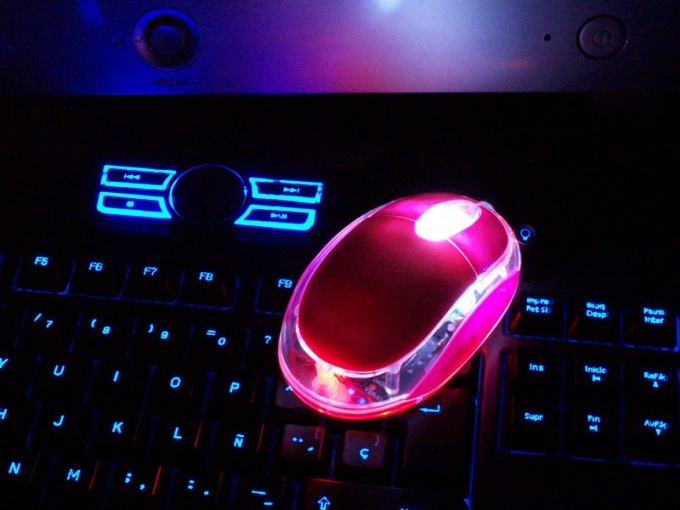 A modern computer is difficult to imagine without optical mouse. This little "rodent" allows you to comfortably and quickly navigate through all the menus of your computer. However, very often the mouse breaks or begins to jam. Do not rush to throw away your broken "rodent"! After all, you can take it apart and repair. Remove the plug from the mouse connector on your computer. In any case, do not attempt to disassemble the included mouse! Otherwise you risk to spoil not only her, but your computer. Carefully inspect the entire body of your optical mouse. Try to see if you can disassemble your device without breaching the hull. 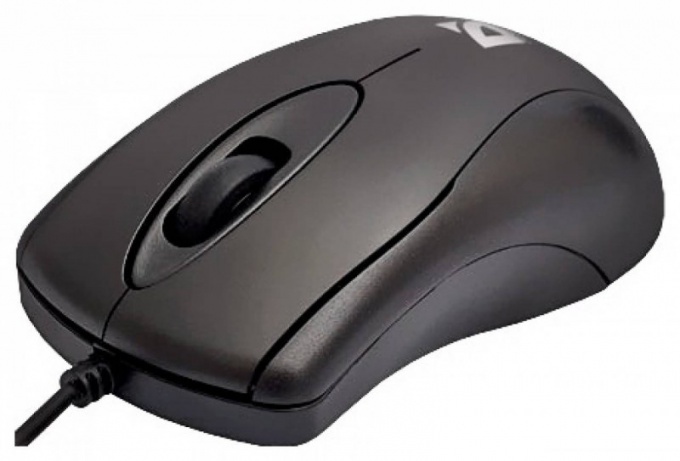 If your mouse disposable, then open it will have by cutting the plastic housing. To do this, use a knife with a thick and wide blade. Try to cut the plastic lines or the grooves. This will make the cut with the lowest cost, and also make the opening mark for reassembly virtually invisible. 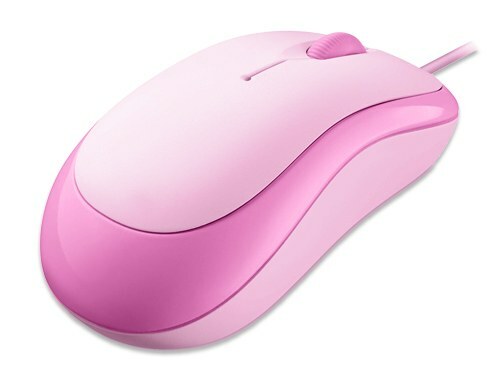 Remove mouse all special weights, which are used to impart the desired weight. To do this, open a special unit and pull out the plastic boxes with metal weights. If the mouse works on wireless technology, remove the batteries or the batteries. Look on the back side of all the plugs under the bolts. Unscrew them with a screwdriver of the right size. The location of each screw, write down or mark, to avoid confusion when reassembling. A screwdriver with a plastic or rubber blade open all the latches holding the top and bottom of the mouse body. Do not use a regular screwdriver as it may scratch the fragile plastic of the case. Open the case and disconnect the top part from the bottom. Proceed gently and carefully so as not to accidentally break the wire, which can be inside. Inside the case, locate the chip, remove the bolts that hold it. Then gently pull the chip out of the recess. Remove all the extra buttons. Perform Assembly in reverse order. The whole disassembly process to produce medical gloves, not to leave on the inside of the housing or on the lens bold prints.